With an emphasis on learning to handle the anticipation and pressure of the hunt, players are forced to use skill, patience and cunning to achieve their missions as they find themselves facing life-altering choices. 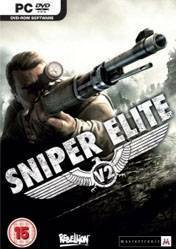 The celebrated \"bullet cam\" from Sniper Elite makes its return and will be more gratifying than ever. Skillful shots are rewarded with a slow-motion sequence of the bullet running its full trajectory from barrel to target as well as featuring graphic detail of the effects of the bullet entering and destroying a target.